An interactive plant outreach database (IPOD) would increase the accessibility of data to researchers, teachers and the general public. 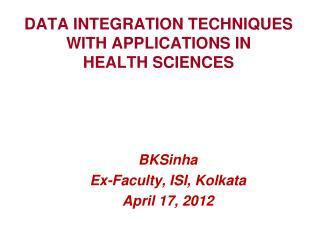 To demonstrate how future experiments can be integrated into IPOD, a 5 week experiment using clinostats was performed. 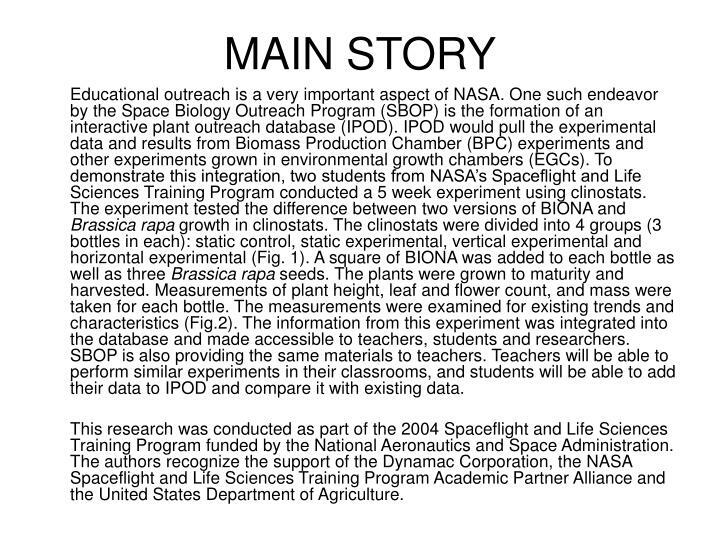 The clinostats tested the effects of simulated microgravity upon Brassica rapa and the growth characteristics of BIONA, a Russian made substrate. 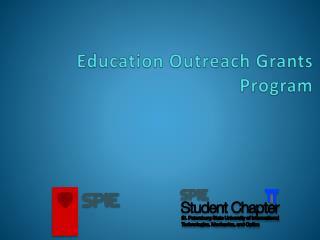 Educational outreach is a very important aspect of NASA. 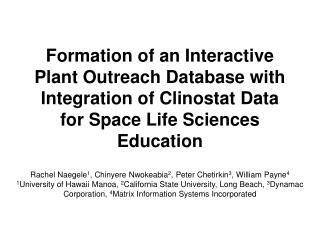 One such endeavor by the Space Biology Outreach Program (SBOP) is the formation of an interactive plant outreach database (IPOD). IPOD would pull the experimental data and results from Biomass Production Chamber (BPC) experiments and other experiments grown in environmental growth chambers (EGCs). 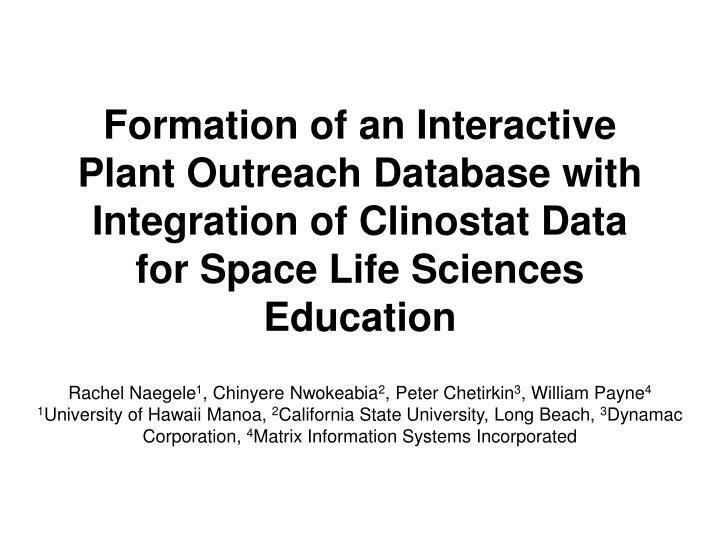 To demonstrate this integration, two students from NASA’s Spaceflight and Life Sciences Training Program conducted a 5 week experiment using clinostats. 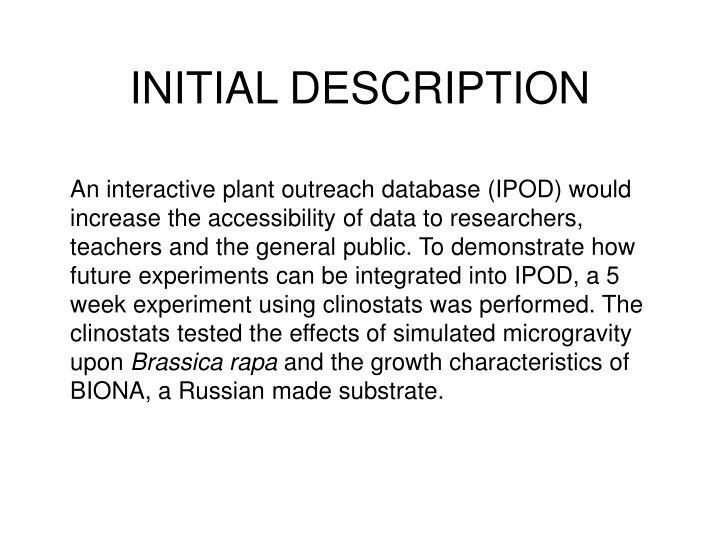 The experiment tested the difference between two versions of BIONA and Brassica rapa growth in clinostats. 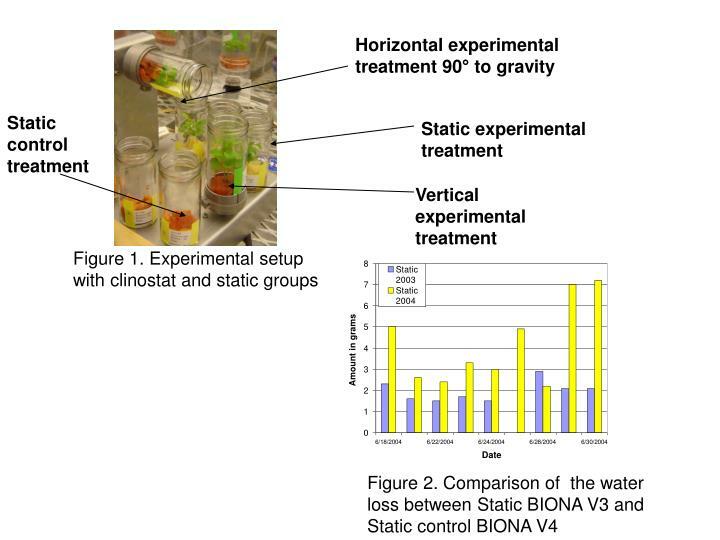 The clinostats were divided into 4 groups (3 bottles in each): static control, static experimental, vertical experimental and horizontal experimental (Fig. 1). A square of BIONA was added to each bottle as well as three Brassica rapa seeds. 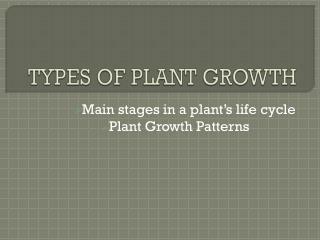 The plants were grown to maturity and harvested. Measurements of plant height, leaf and flower count, and mass were taken for each bottle. The measurements were examined for existing trends and characteristics (Fig.2). 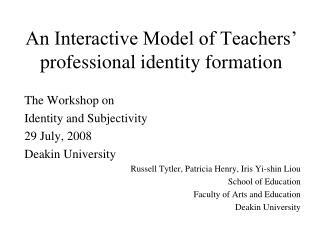 The information from this experiment was integrated into the database and made accessible to teachers, students and researchers. 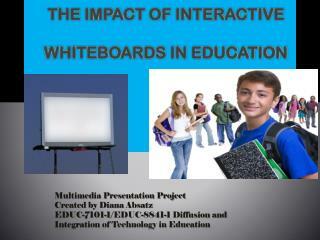 SBOP is also providing the same materials to teachers. Teachers will be able to perform similar experiments in their classrooms, and students will be able to add their data to IPOD and compare it with existing data. This research was conducted as part of the 2004 Spaceflight and Life Sciences Training Program funded by the National Aeronautics and Space Administration. 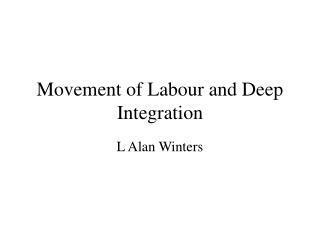 The authors recognize the support of the Dynamac Corporation, the NASA Spaceflight and Life Sciences Training Program Academic Partner Alliance and the United States Department of Agriculture. 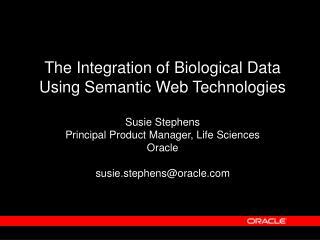 The Integration of Biological Data Using Semantic Web Technologies Susie Stephens -The integration of biological data using semantic web technologies susie stephens principal product manager, life sciences oracle susie.stephens@oracle.com. 1. Data Sources for Building Pest Lists 2. 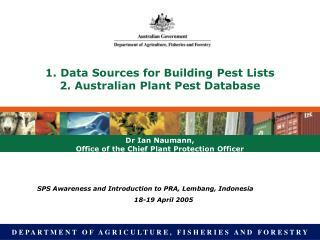 Australian Plant Pest Database -. dr ian naumann, office of the chief plant protection officer. sps awareness and introduction to pra, lembang, indonesia 18-19 april 2005. 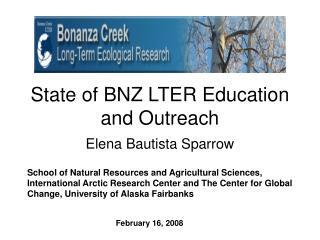 State of BNZ LTER Education and Outreach -. elena bautista sparrow. school of natural resources and agricultural sciences, international arctic research center and the center for global change, university of alaska fairbanks. february 16, 2008. 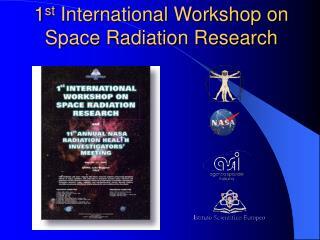 1 st International Workshop on Space Radiation Research -. relazioni presentate. argomenti progetti. 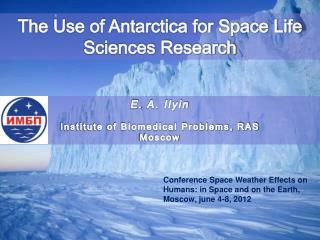 nasa life sciences (33). nasa life sciences: radiations. europa (-italia) + giappone: life sciences. 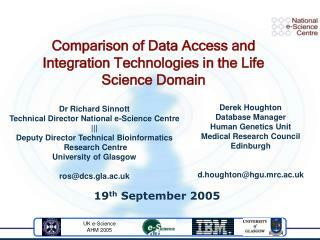 italia life sciences (asi+non-asi). 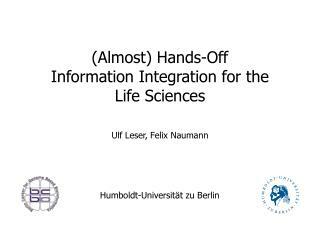 Life Sciences: Data Revolution -Session : 40382. life sciences: data revolution. 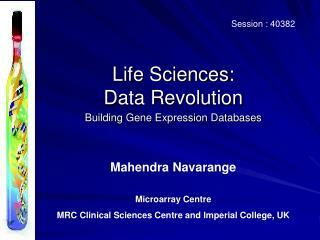 building gene expression databases. mahendra navarange. microarray centre mrc clinical sciences centre and imperial college, uk. agenda. 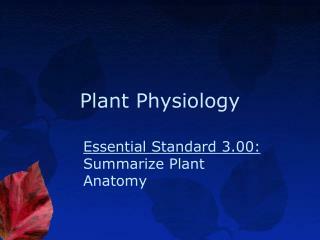 what is life science? 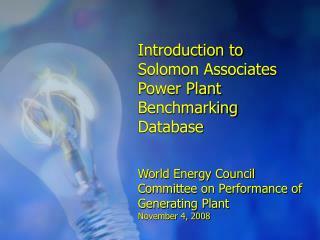 Putting GLOBIOM data into a database -. 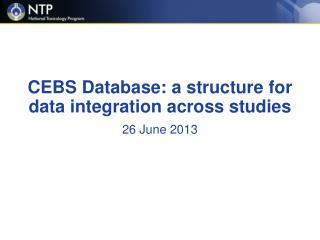 pedro r. andrade cambrigde, 2013. integration between terralib and iiasa tools. scisoft. g4m. globiom. epic. geowiki. ???. terralib. 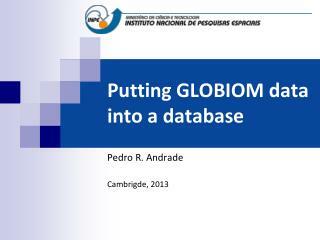 integration between terralib and globiom. globiom. terralib. 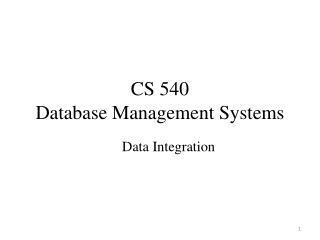 Database Management Systems -. chapter 1. introduction. 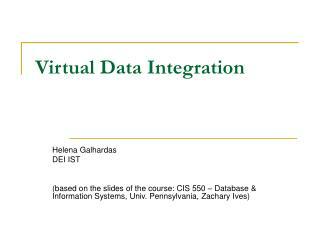 what is a database? 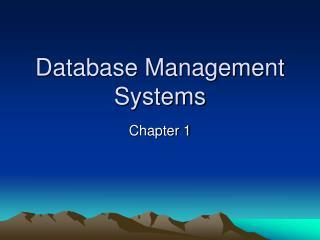 what is a database management system (dbms)? remind me to tell you about this: http://msdn.microsoft.com/vstudio/express/vwd/. 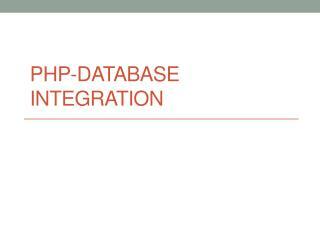 database development challenges.